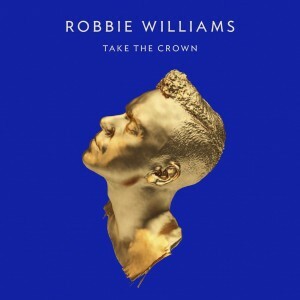 Hot on the heels of yesterday’s announcement by Robbie Williams that his new album ‘Take The Crown’ would be released in November, Universal Music has today confirmed the album’s local release. As mentioned yesterday, the new album is the follow-up to his 2009 release ‘Reality Killed the Video Star’ and comes off the back of his much-publicised reunion with his former Take That bandmates. Both standard and deluxe versions of the album will get a release in Australia, with both now available for pre-order via the local iTunes store. The standard edition of the LP contains 11 tracks (the last featuring a guest appearance by Lissie), while the deluxe edition gets bonus tracks ‘Reverse’ and ‘Eight Letters’ (the latter a Take That track re-recorded as a solo single). Lead single ‘Candy’ was co-penned by his Take That bandmate and former nemesis Gary Barlow. ‘Take The Crown’ will be released in Australia on Friday November 02.